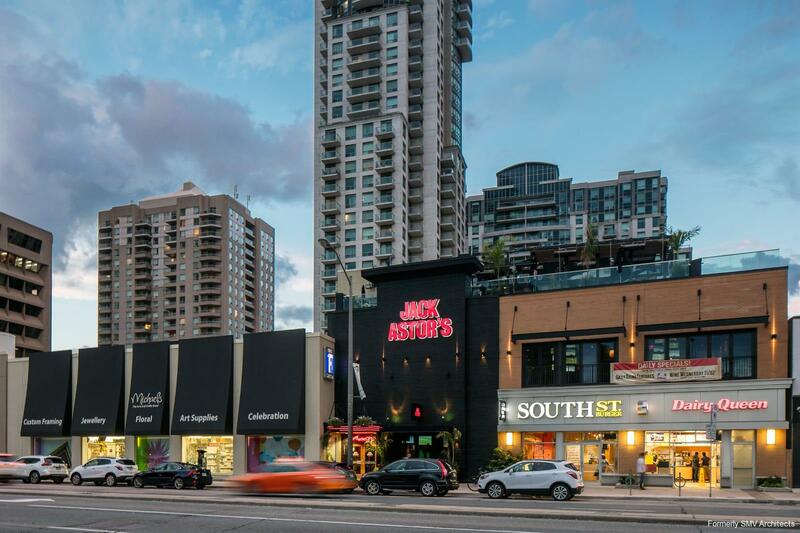 First Capital Realty is well known for enhancing communities by investing in urban shopping centres. This time, they brought us an unusual and challenging project. 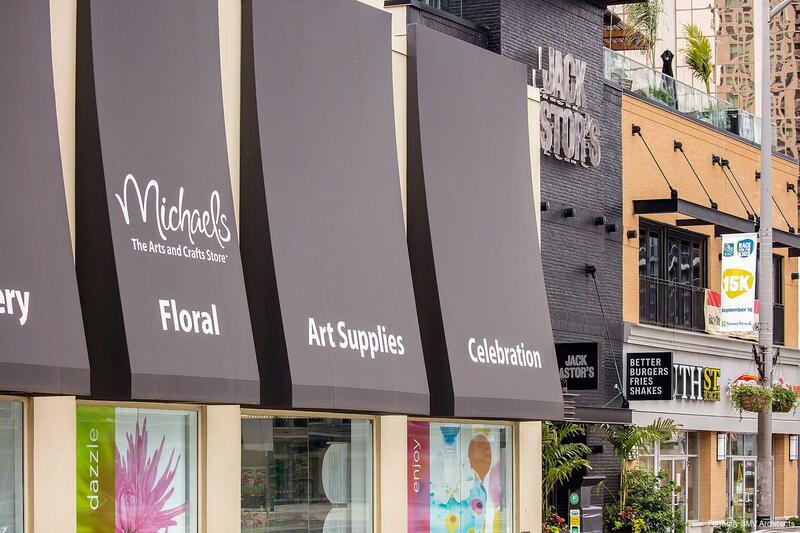 We were to create a multi-tenanted, mixed-use commercial property out of a former furniture store with chaotic and irrational spaces resulting from multi-floor additions over the years. Floor levels varied throughout the existing building and several interior stairs interrupted spaces that were divided by many former exterior walls. Our solution to the bizarre disarray was to “make lemonade” by capitalizing on these unique building aspects to create singular spaces for multiple tenants. 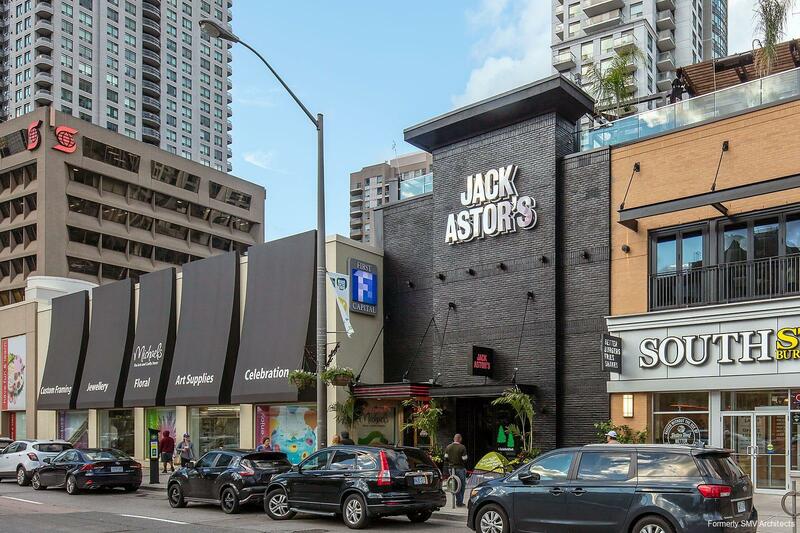 Even the roof was used to an advantage as an inviting outdoor patio for a restaurant tenant. The urban views from the roof space provided a unique opportunity to create an additional layer of activity through the construction of a charming rooftop patio, which services the restaurant. First Capital trusted our vision for such unusual and attractive spaces and were delighted that we could organize and phase the construction so that the building didn’t have to be emptied of tenants for the construction period. Successfully handling the municipal issues related to the project complexity, from pre-consultation meetings to Site Plan Control approval to building permit issuance, we delivered the project within 12 months and on budget.